Come and see what this year's Coachmen Pursuit has to offer. 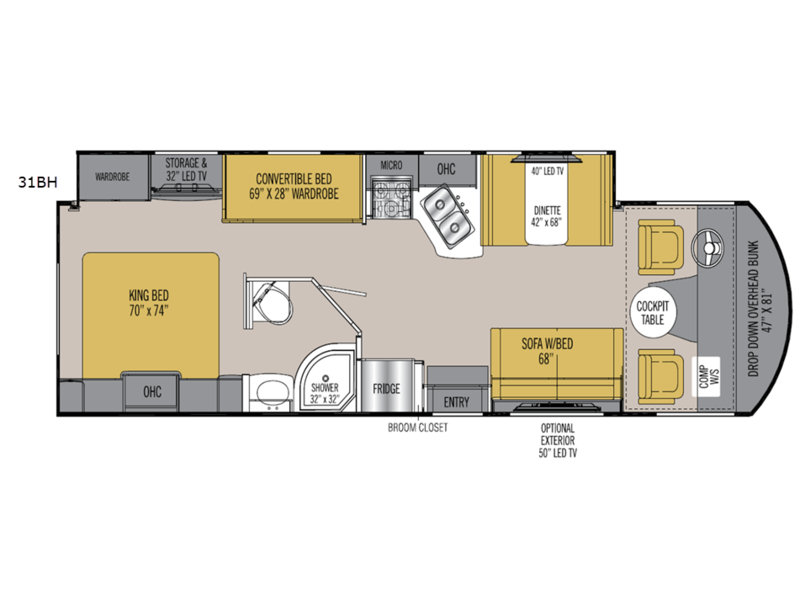 This class A coach has all the comforts and conveniences you are looking for to make time out on the road feel just like home. 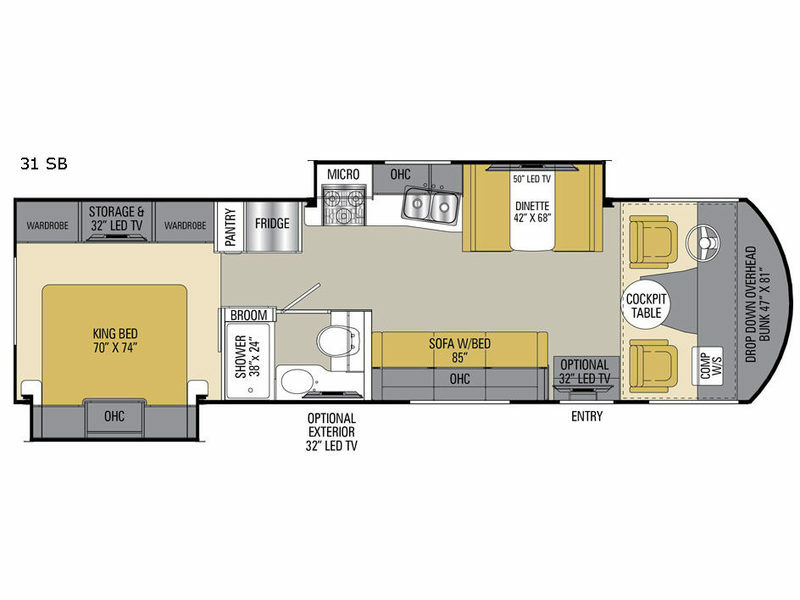 When you step inside any Pursuit model you will fall in love with all that it has to offer from the standard electric drop-down bunk to the Thermofoil countertops and abundant storage throughout. 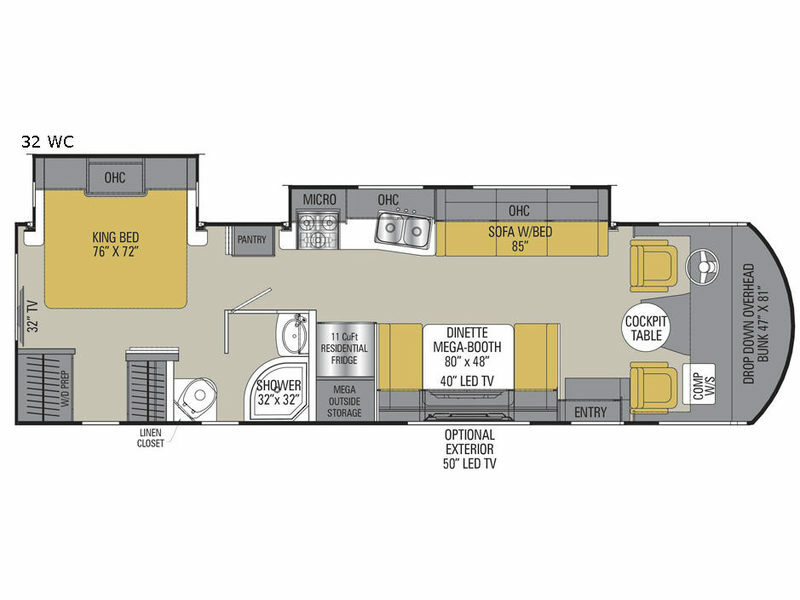 So, the next time you are in pursuit of a dream vacation, choose a new Class A Pursuit motor home by Coachmen. The class A that brings MORE to the road! Basement Storage 96 cu. ft. Basement Storage 74 cu. ft.